I need a new toothbrush. Seems simple enough. Electric or manual? Definitely the former, I’ve read it’s far better for your brushing. Then there are two main brands my dentist tells me, but she strongly advises one. Great. Nearly there… or so you’d think. Absolutely not. Six (yes SIX) hours later I still can’t decide which one to buy. 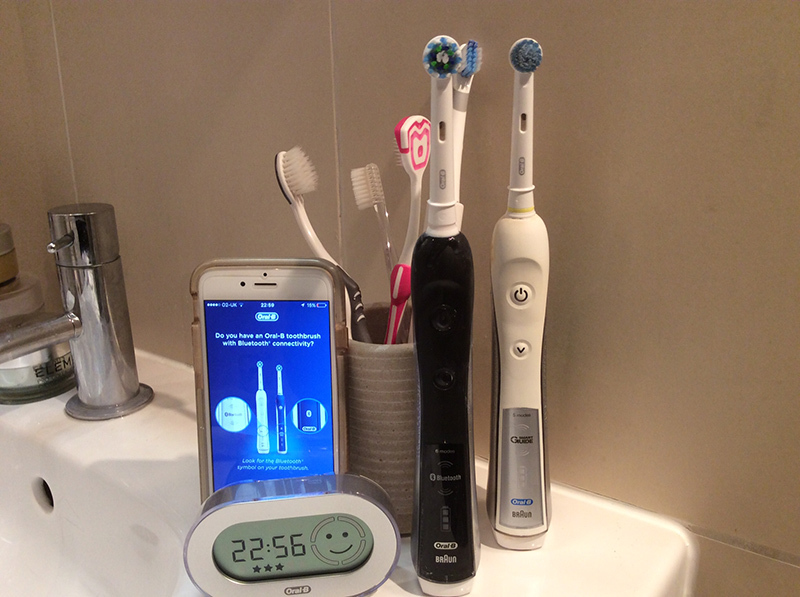 Do I need a ‘Smart Guide which times my brushing? (Can I not guess?) A Bluetooth connection on the handle to an app on my Smart phone. Sounds good, but really, will I have time to assess my weekly/monthly brushing routine, I barely have time to brush. But dental hygiene is important, so I persevere. Five brushing settings, or six, – that all-important ‘tongue’ brush mode, essential surely? ‘Optimised brushing performance’ ‘personalised oral care coaching’ ‘wall mountable for your convenience’ ‘real-time guidance to help you brush the way dentist recommend,’ ‘quadrant guides’, ‘3D white brushhead’ . My brain is in overload. I am stressed. I decide not to buy a toothbrush. Apparently, burdened by such decisions, choice paralysis is common: we do nothing, even when at times when we should. Many economists, business leaders, politicians, state that more choice is better, leading to greater freedom for us all. But this is not my experience. Unlimited choice opens the door to stress, unhappiness and for some regret, self-blame and depression. From deciding on what electricity supplier to go with, to which mobile phone tariff to buy, even the school to send our children to, choice can burden us, weigh us down, every second of every day. According to Schwartz, before when didn’t have a choice, and we bought the wrong thing, it would be the world’s fault. Now, with so many options around, if the purchase is bad, we have only ourselves to blame. And, in our heads, there will always be a better one that we could have gone for – the one that was perfect! This in turn leads to escalation of expectations. So where does all this choice lead us, and what to do? Schwarz talks about “satisficers” (those who settle for “good enough”) and “maximizers” (people who explore every option to make the best decision). The former are happier; the latter (that’s me), feel worse. Psychologist, Dan Gilbert, also talks about ‘synthesising happiness’: if we stick with our decision, and don’t have the option to change it (which sadly we often do!) then we are likely to be more satisfied. So the conclusion to my toothbrush traumas: become a ‘satisfier’. Stop trying to buy ‘the perfect’ this or ‘the best that’. Be grateful when you’ve made your choice and go with it. And as Schwarz says, “choose don’t pick’. Limit your initial options. And go with good enough. By the way I bought a toothbrush; and I do love it. But next time I’m going to avoid the stress along the way!